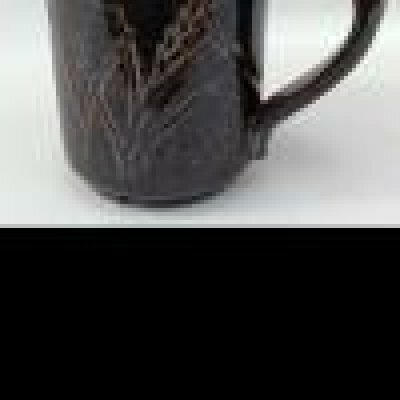 This material was formulated as a physical and chemical substitute for the late and very popular Albany Slip from New York state. Like Albany, it is a low melting iron stained clay. Alberta Slip is more consistent than Albany was since it is made from a blend of raw materials. Alberta slip has a slightly lower iron content than Albany had so some glazes may not fire as dark (this can be counteracted by adding additional iron oxide). 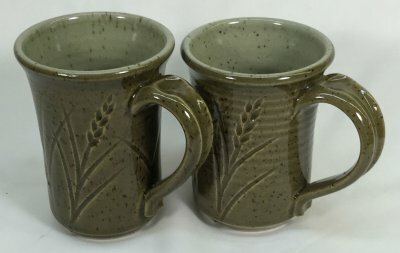 Alberta slip melts as well and works in most glazes that call for Albany. 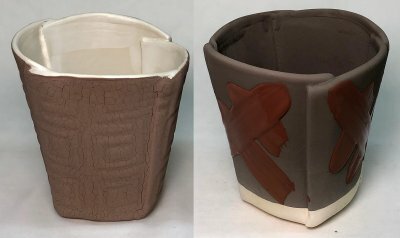 Alberta slip is more plastic (less silty) so recipes containing larger proportions may shrink and crack during drying (requiring the use of a calcine:raw mix). 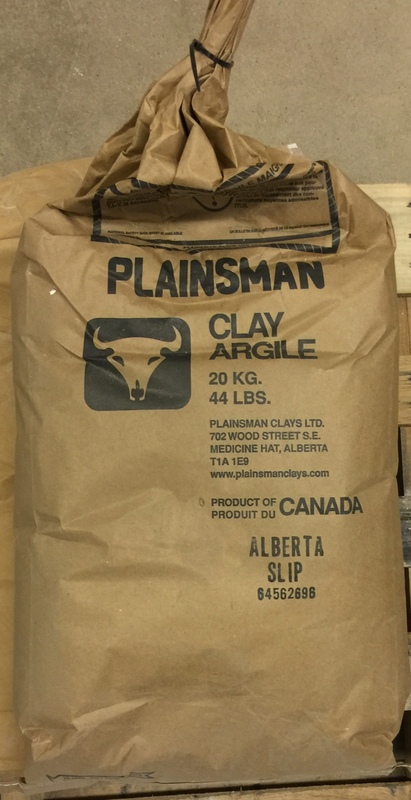 Plainsman Clays has made this material for many years and it is established in the market place across North America. It has its own website at albertaslip.com. 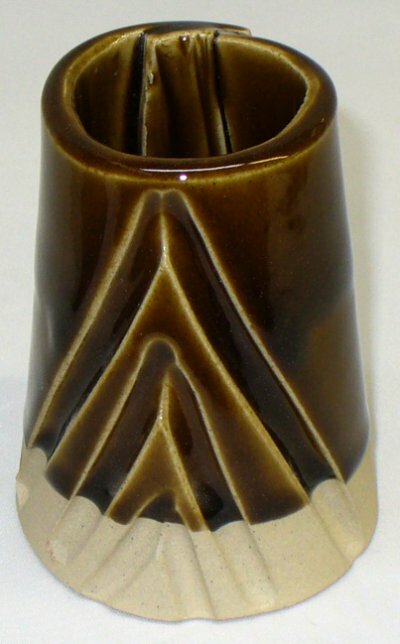 You can use Alberta Slip at 100% (raw:calcine mix) to create a chocolate brown glossy glaze at cone 10. 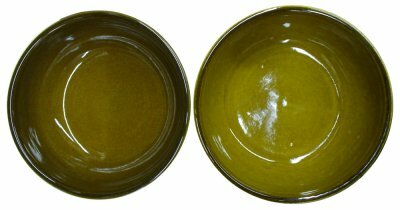 Many Albany glazes were based on the addition of an active flux that increased melt fluidity so that greenish and yellowish iron crystals grew on cooling. 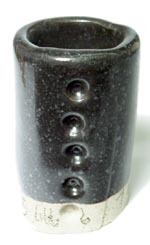 Many black glazes were based on Albany Slip, since it already contained lots of iron only a little more and some extra cobalt or manganese were needed. 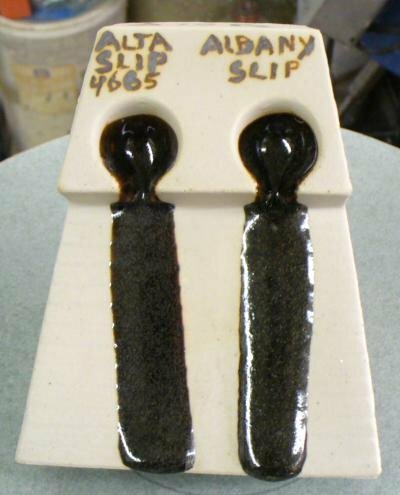 The plasticity of Alberta Slip is very helpful in suspending glaze slurries. 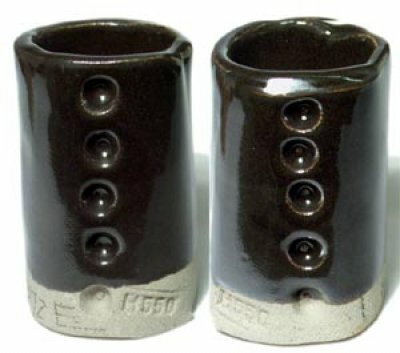 However if there is more than about 40% (with no other clays), then you must use a raw:calcine mix. The albertaslip.com website has information on how to do the calcining and how to adjust for the change in LOI. The analysis of this material was changed here in Sept 2013, not because the material changed, but because they switched to an actual assay instead of a calculated analysis. These are two runs of Alberta slip (plus 20% frit 3134) in a GLFL test to compare melt flow at cone 6. 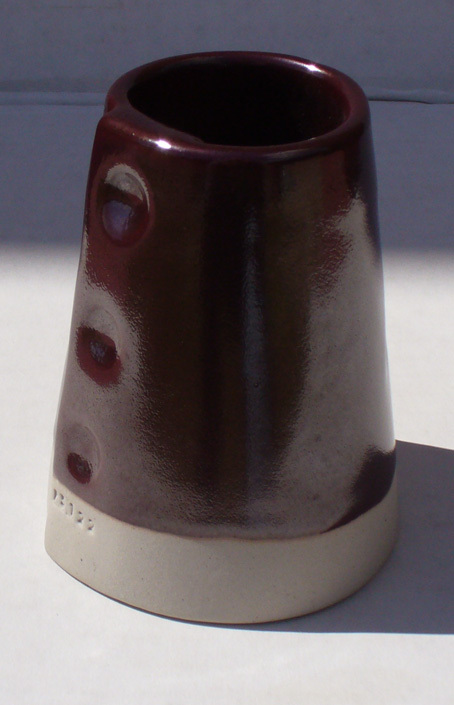 Cone 10R beanpot glazed with Alberta Slip (100%). Something is definitely wrong. What is it? 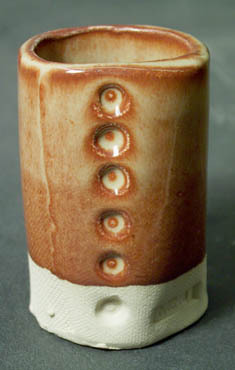 An example of how a glaze that contains too much plastic clay has been applied too thick. It shrinks and cracks during drying and is guaranteed to crawl. This is raw Alberta Slip. To solve this problem you need to tune a mix of raw and calcine material. Enough raw is needed to suspend the slurry and dry it to a hard surface, but enough calcine is needed to keep the shrinkage low enough that this cracking does not happen. 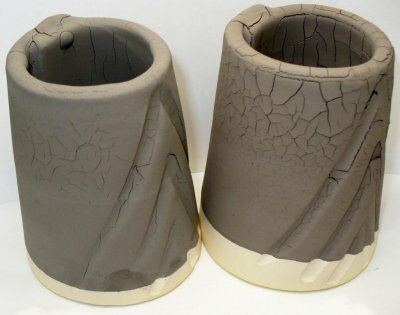 The Alberta Slip website has a page about how to do the calcining. At cone 5R pure Alberta Slip (left) is beginning to melt and flow down the runway of this tester. It is producing a matte gunmetal surface. 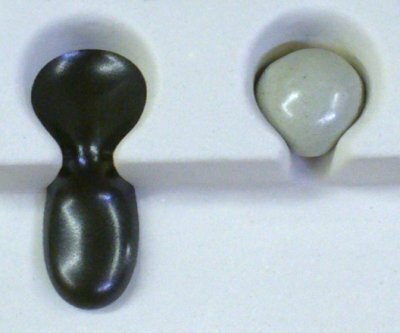 Pure Ravenscrag Slip (right) is just starting (it needs frit to develop melt fluidity at this temperature). The iron in the Alberta Slip is melting it because of the reduction atmosphere in the kiln (it does not move like this in oxidation). Compared to a slow-cooled, high-melt-fluidity iron crystal glaze fired at cone 6 oxidation (right). 90% Alberta Slip (which is a mix of half and half raw and calcine) and 10% Ulexite fired at cone 6. A dazzling fluid dark amber transparent. 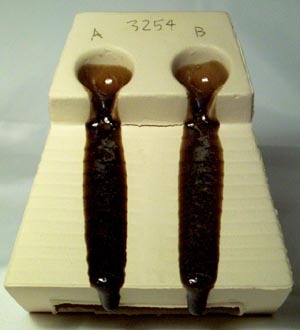 You could also do this using a high-boron frit. This is 100% Alberta Slip (outside) on a white stoneware clay fired to cone 10R. 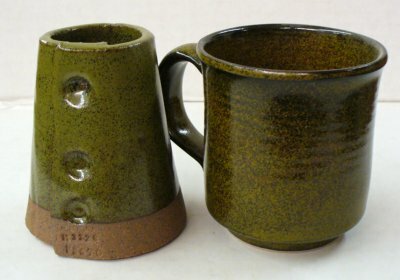 The glaze is made using a blend of 60% calcine and 40% raw (as instructed at the albertaslip.com support website). 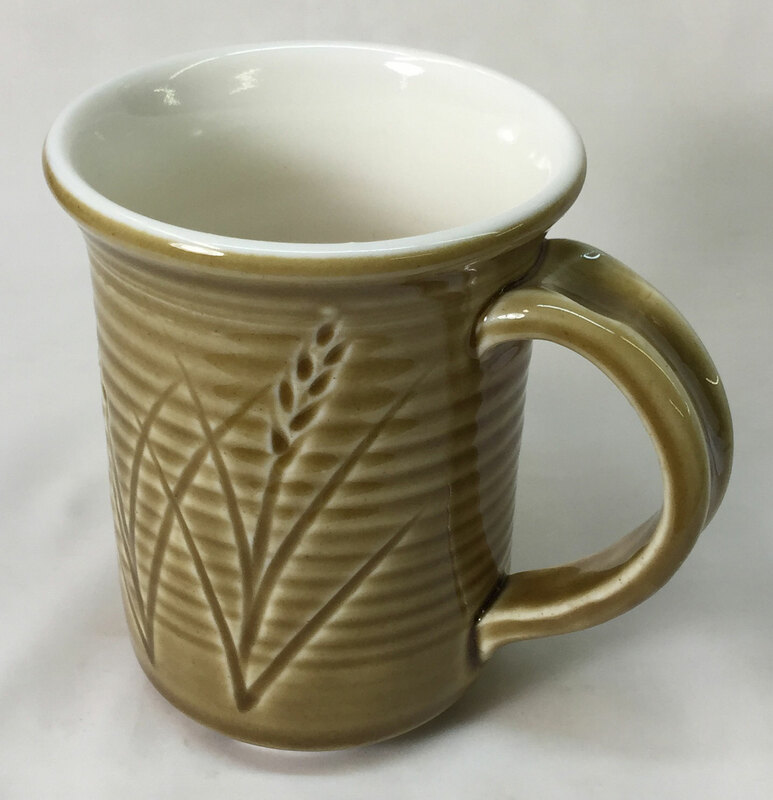 Alberta Slip was originally formulated during the 1980s (using Insight software) as a chemical duplicate of Albany Slip. The inside: A Ravenscrag Slip based silky matte. The inside glaze is pure Ravenscrag Slip and the outside glaze is a 50:50 mix of Ravenscrag and Alberta Slips. Each of the glazes employs an appropriate mix of calcined and raw clay to achieve a balance of good slurry properties, hardening and minimal drying shrinkage. Ravenscrag needs less calcined since it is less plastic than Alberta Slip. However this version employs Ferro Frit 3195 instead of Frit 3134 to flux the Alberta Slip. Polar Ice is a cone 6 super-white translucent porcelain from Plainsman Clays. Albany Slip was a pure mined material, Alberta Slip is a recipe of mined materials and refined minerals designed to have the same chemistry, firing behavior and raw physical appearance. 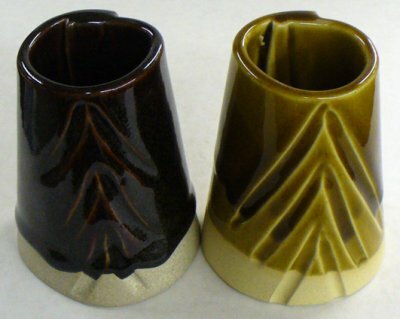 Alberta slip fired in reduction (left) is much darker than in oxidation at cone 10. This is 100% of the pure material. Notice how the iron is fluxing it more on the left, it is beginning to run. And how the reduction atmosphere amplifies the color of the iron (by changing it to the metallic state). 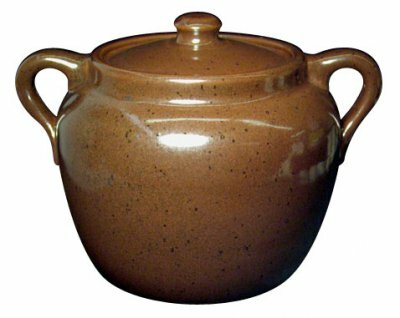 Alberta Slip makes a great base for glazes because not only is it almost a complete glaze by itself but it has low thermal expansion, it works well with frits and slurry properties can be adjusted. 2010-11-20 - Works well on all types of bodies, very reliable. Plainsman Cone 6 Alberta Slip based glaze the fires bright blue but with zero cobalt. 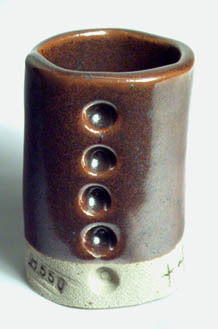 Alberta Slip creates a glossy transparent brown at cone 10 with the simple addition of 10% frit. 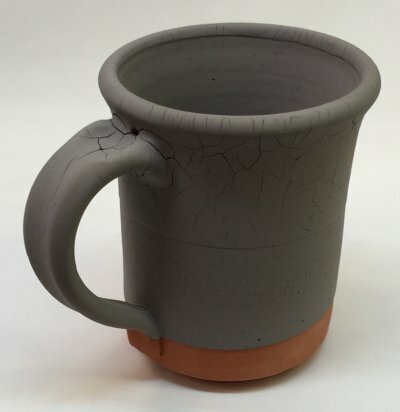 Ask yourself the right questions to figure out the real cause of a glaze crawling issue. Deal with the problem, not the symptoms.